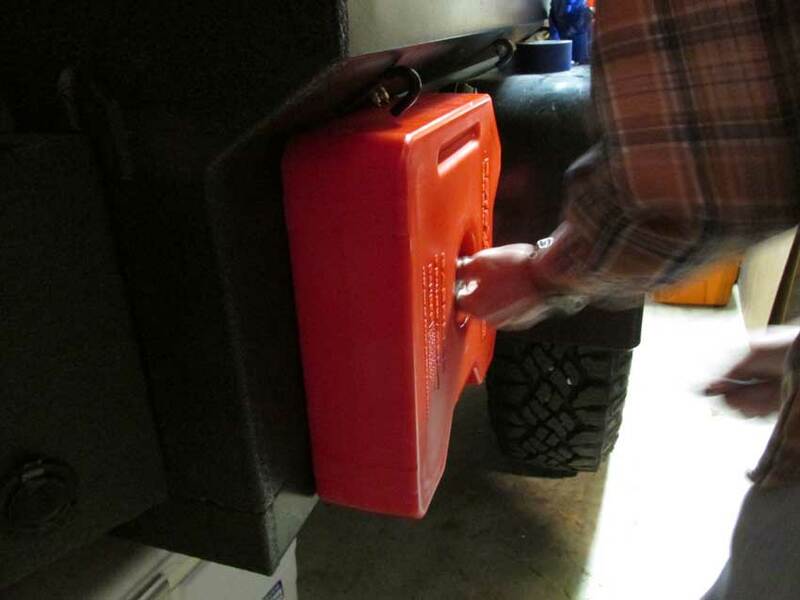 Spare gas is a necessity for extended backwoods travel and for powering campsite generators. There aren’t a lot of options for carrying gas externally on a Grand Cherokee, and gas cans inside the vehicle isn’t an option. Fortunately, the trailer is finely suited for mounting external gas containers, making them available without rummaging inside the trailer and keeping them secure on rough roads. 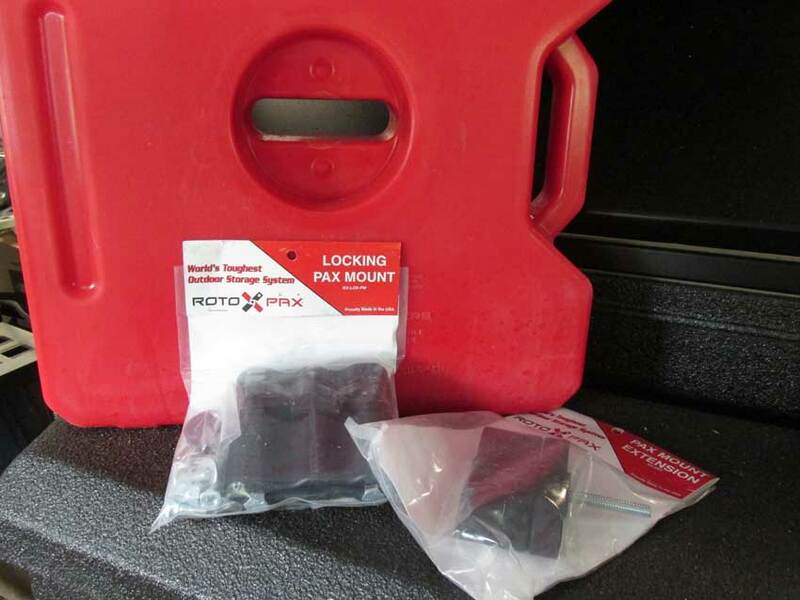 My options were to go with conventional jerry cans or to go with the newer Roto Pax containers and mounting system. 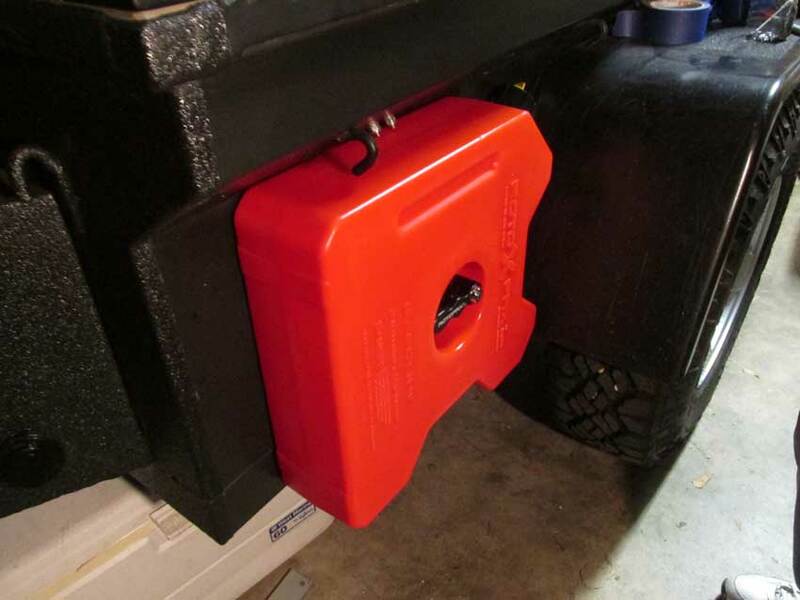 While the jerry can approach was less costly and the containers were larger, the mounting brackets left much to be desired. The hinged latches and stamped steel construction implied early rusting and the whole assembly was bulky. On the other hand, the Roto Pax design, while more expensive, provided for a simplified, streamlined mounting design, was less susceptible to rust, and facilitated “tucking” the containers onto the trailer in the desired spot. I also liked that the lock cylinder was integrated into the handle. 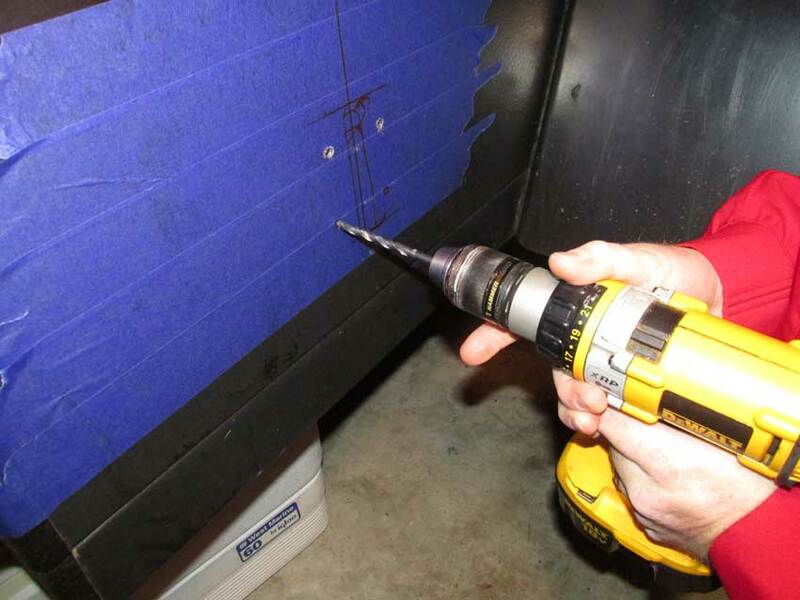 The first step was marking the mounting location for the mounting bracket. 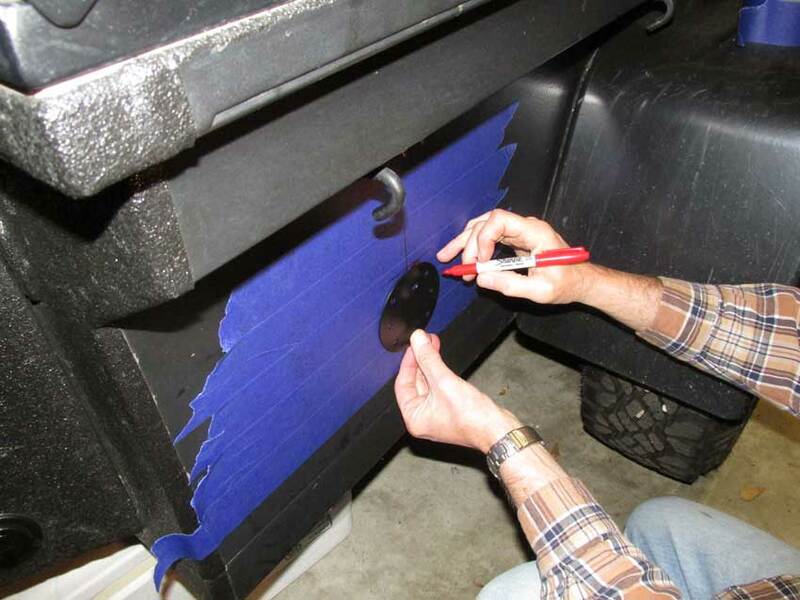 I used painter’s tape to mask the mounting surface and marked measurements from the bottom and front edges of the trailer. This ensures that I can locate the exact spot on the other side of the trailer for symmetrical mounting of another bracket later. I used the mounting plate as a template. Drilling holes in the marked location. 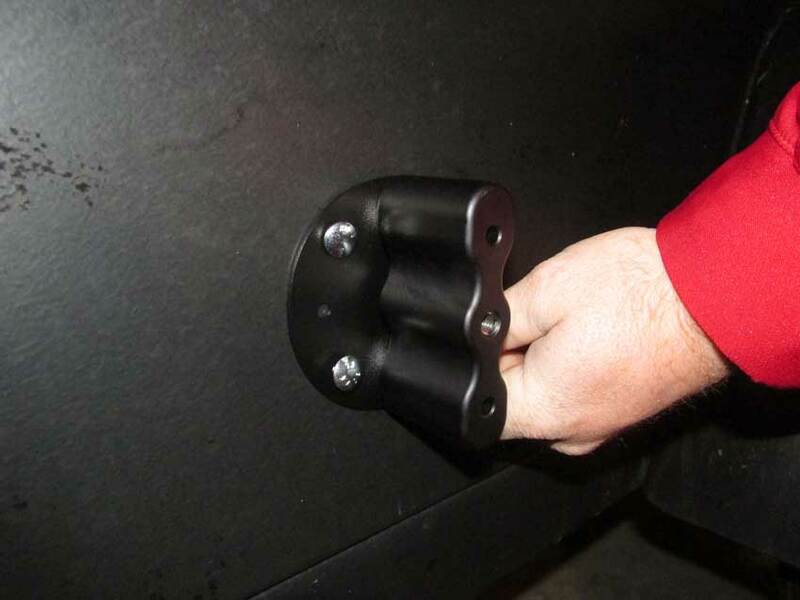 The mounting bracket is installed, Carriage bolts are secured from the inside of the trailer, leaving a cleaner installation and discouraging theft of the assembly when gas containers aren’t mounted. 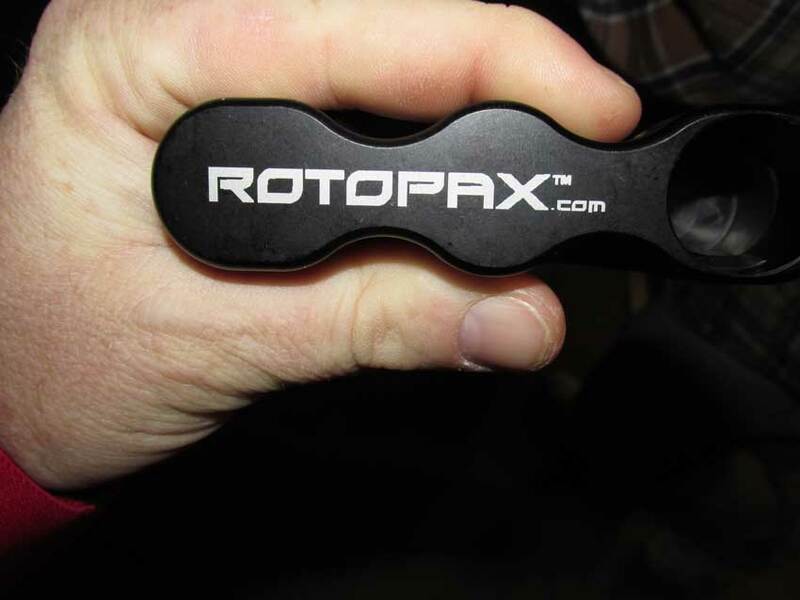 The Roto Pax latch can be fitted with a lock cylinder. Once the gas can is mounted on the bracket the latch is screwed on and tightened down, the lock cylinder is installed, and the whole assembly is locked. The can is mounted and locked down. The design of the can is streamlined; it is tucked under the trailer’s overhang and in front of the fender, providing for a protected, aesthetic installation. Final installation – mounted and locked. The Roto Pax mounted on the trailer and headed out.